There isn’t anyone on Earth that wouldn’t mind saving a couple of bucks here and there, right? 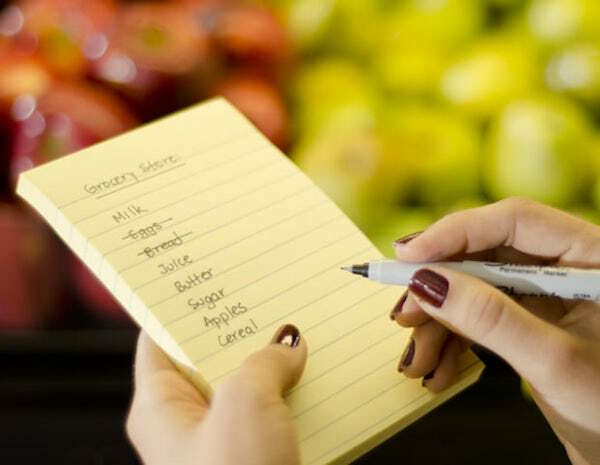 These 20 shopping hacks will help you save money. In this list, you’ll find ten tips or hacks that you can use to be a smart shopper, and you’ll find ten apps or tools to help you make the most of your newfound skills. Coupons are the double-edged sword of this list. You should never use a coupon for an item unless you were already planning to buy it. Don’t let the idea of a sale worth a few pennies trick you into spending more. There are many extreme couponing individuals online who seem to be all-knowing when it comes to what valid coupon offers are available at any given moment. Sometimes you can print these coupons at home, while others are available at the stores or in the newspaper on Sundays. The main thing to realize is that those in the know about coupons are very often more than willing to share that information with you. Simply do some searching on the topic and find a blogger or YouTuber who makes it their business to know all about coupons and you’ve got a free ticket to the biggest savings and best deals. Also, check out your local grocery stores. Some of them might double, or even triple coupons and all stores allow you to combine store coupons with manufacturer coupons to maximize your savings. In order to maximize savings with coupons, you must abandon brand loyalty, which might be a deal breaker for some items. Most stores like Walmart and Target offer price matching, but so do Best Buy, Kohl’s, JC Penney, and more! Learn the policies at the stores you shop at the most, and you can use Amazon to look up items you’d like to get a discount on. Stores will often price match with online vendors and always do so with other stores. Doing a little research on price matching can help you save money and reduce trips to different stores to get the best deals. Customer loyalty programs like Fuelperks, Plenti, and more all have one common goal: to keep you coming back! Loyalty programs at grocery stores can save you money on gas, give you access to special deals, and also have a bunch of other great features. Loyalty programs at certain restaurants (usually, you just download an app) can get you free coffees at Starbucks, Dunkin, and McDonald’s! If a business offers you a loyalty card, most often it is in your best interests to sign up. Items go on sale on a very regular schedule, throughout the week and the entire year. If you pay enough attention to the market and buy things when the demand is usually lower, you’re bound to see that the prices are lower as well. For instance, fitness equipment, linens, Christmas decor, and even motorcycles are all priced the lowest in January. Also, because most people want to buy a new TV for the big game, you can see last year’s models of televisions at some steep discounts in February. Many grocery store and personal items often go on sale at regular, and very predicable, intervals. 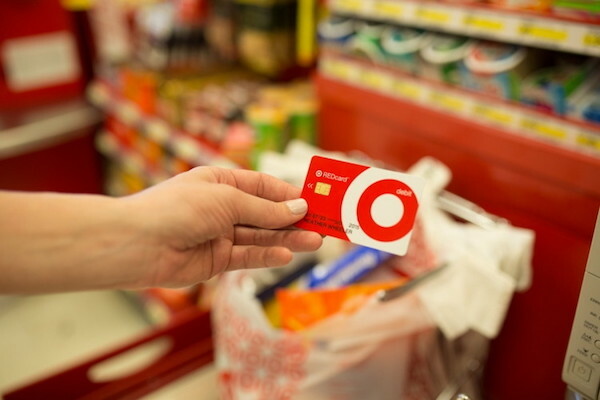 It may be worth it for you to make a note of these cycles to plan your purchases. The cost per unit is sometimes the last thing you look at before deciding on which brand or size of a product you’re going to buy. They’re meant to show you the cost per unit, such as the cost per ounce of laundry detergent, so you can see which one is going to save you the most money. It’s important to pay attention to them! Don’t be fooled by the size of the packaging. Many manufacturers use packaging and marketing to make you think you’re getting more out of their product, and it may not always be true. This also comes with the caveat — this is not regulated in all states. Online clothing stores do this very often, but even VividSeats, StubHub, and Etsy do this as well. When you add a few items to your cart on a certain website, or just go to the checkout page on a ticket reseller without confirming your purchase, then click off to some other site, something amazing happens. Within a few days, you can check your email and find bonus deals to get you to come back. This could be free shipping, buy one get one deals, and even percent off coupon codes. This is also a great strategy if you are trying to avoid impulse spending. Put your wished list of items in the cart, then browse away. The seller will usually get back in touch with you, offering an incentive to complete the purchase. At that point, you can pare down your order, since you’ve had time to cool off – or proceed exactly as originally planned, but with the perk. This is very sneaky! Airlines, motels, Uber, and many other sites utilize what’s called dynamic pricing. To put it simply, the price of a particular item you’re looking at online is determined by factors like browsing habits, perceived ability to pay, etc. It can also depend on things like day of the week and proximity to departure time when buying airfare. To save yourself from dealing with this, you can clear your browser history or use Incognito/Private browsing when you make your purchase. Don’t let your browser tip your hand! Ensure your privacy before shopping. It’s a good practice in any case, but can also save you money. In today’s tech-obsessed society, almost every product, company or service provider of any sort you can think of has a social media account, so of course, the businesses you deal with do. This allows them to connect with customers and makes more direct advertising incredibly easy for them. Many companies also post sales on their Facebook first, and can also have flash sales and coupon codes that they post on their different social media platforms. Make sure you’re following your faves so you can snag a deal. It’s also worth it to check the social media accounts of any business you’re about to spend money with, to see if their customers seem generally happy. Why would anyone buy a sweater in the sweltering summer heat? To save a couple of dollars (or a big percentage), of course! This goes back to the idea of supply and demand. When the demand for something is lower, it’s going to cost less. If you live somewhere hot like Florida, you can save a ton of money by purchasing your bathing suit in the winter. Sometimes you’ll find up to 50% off certain items when you do your shopping this way. Assuming the item is not super trendy and definitely not going out of style in five minutes, feel free to buy wardrobe staples in the off season. Items go on sale on a regular schedule throughout the year, as you learned earlier. But stores also have their own specific schedules for when the prices drop. Most stores send out discounts and coupons on Wednesday, Thursday, and Friday. Grocery store Kroger has a free item every single Friday, you can find it through the mobile app. Publix (and other stores) routinely have penny items. Joining social media groups that track sales and savings opportunity can help you learn exactly what a pink dot vs a brown dot on a price tag means and can help you decide when you will buy an item to get the best price. Believe us when we say, the coupon and sale-chasing mamas know exactly what the best deal on almost anything is, right down to the penny. And they generally love sharing this information with you. Just pay attention and you can get the same deals they do – and they refuse to overpay for anything. Swagbucks is an app or website that allows you to earn points that you can then trade in for gift cards to hundreds of retailers, or use your points to add money to your PayPal or Amazon account. You can get cash back by shopping through the link to the store of your choosing on the Swagbucks website, you can watch videos, do surveys, and they even have a search engine that works just like any other search engine, but you earn points for your searches. Using the link above, you can get $3 (in the form of 300 Swagbucks) to get started! Ebates is sort of like an aggregator of online stores. They advertise different promotions and deals that sites like Macy’s, Old Navy, LivingSocial, and hundreds more have going on. When a customer shops at those stores through Ebates, the stores pay Ebates a commission for the advertising and the buyer (that’s you) will receive part of it. You can receive your money by check or via PayPal, and at some stores, you can get up to 20% cash back. If you set up new service with Dish Network through Ebates right now, you’ll get $150 cash back! Ebates has grown so much that basically any place you spend money online will offer you a little rebate as long as you have activated the Ebates savings in your browser or arrived at the store through the Ebates website. It’s easy and you get your “big fat check” from Ebates every three months. It adds up fairly quickly and is a nice bonus for pretty much 0 effort on your part. Walmart Savings Catcher is amazing! Walmart usually has the lowest prices around but there are times when CVS steal the show and puts their Coke products on sale for just $0.99 per 2 liter. When that happens, and you still buy your soda for the $1.48 that Walmart charges then scan your receipt with this app, Walmart pays you back! Savings Catcher searches for a lower price and then pays you back the difference. In the scenario we’ve described, you would get $0.49. (One time, one of our writers scanned his receipt after grocery shopping and got over 10% of his money back!) You can even use Walmart Pay through the app, which makes earning and using your cash back super simple. Receipt Hog is a market research app. They anonymously collect data on shopping habits and shopping experiences at certain stores, and then they pay you for it. It’s effortless on your part. All you have to do is snap a photo of your receipt (from ANYWHERE) and answer two brief questions about the gender and age of the shopper, and then rate your experience at this store out of five stars. Depending on the place your receipt is from, and how much money you spent, you get a certain amount of coins. You will also have the opportunity to earn coins through bonuses. The coins can be cashed in for Amazon gift cards, or as money added to your PayPal balance. Using the Ibotta app, you can register, and then you add offers by completing simple tasks. There are over 300 different retailers at which you can use Ibotta. After you apply the offers to your account, you have to make your purchases within 48 hours. It connects with different loyalty card programs like Plenti, and you can also manually enter receipts. If you have successfully completed the offer, Ibotta will credit your account with your reward. Instead of using a currency that you trade in for cash, you will just be awarded cash. Once you have racked up $20, you can redeem it through PayPal, Venmo, or by selecting a gift card of your choice. LOZO is the couponer’s dream, especially if you don’t have the hang of scoping out great deals on your own just yet. LOZO tracks hundreds of coupon websites and has thousands of different grocery and household coupons that you can choose. How this tool works is very straightforward. You just enter in your grocery list on the site, and then LOZO will email you the links to print out coupons that match the items you’ve entered. There is also a wealth of money saving tips available on the website, and you can even find online coupons and have them emailed straight to you. 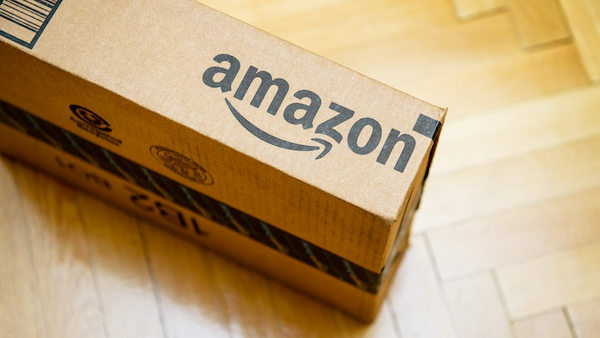 Spending $35 to get free shipping on Amazon shouldn’t be as difficult a task as it is. Some of the things you need just don’t cost enough to fill the gap, and you still want to wait on those bigger purchases. Instead of resigning yourself to forking over those processing fees, just check out the Amazon Filler Item Finder. You go to the site and type in the exact amount of money that you need to spend to achieve that $35 threshold, and the Filler Item Finder presents you with a list of items that are around that price but definitely enough to qualify you. It’s easy, free, and there is no signup required. Right now, you can get a $10 iTunes gift card for just $8, a $100 gift card to Claire’s for just $60.95, and a $233 gift card to Dave & Busters for literally just $126.99! 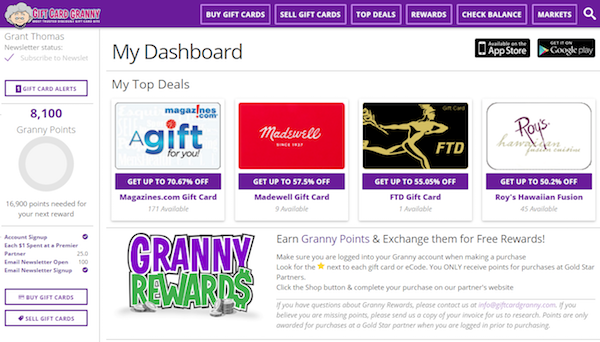 Gift Card Granny is a site where you can buy high-demand gift cards at discounted prices (sometimes very steep discounts). The current inventory they have listed is creeping towards 400,000, and they are a very diverse group of retailers like Fandango, William Sonoma, Best Buy, Starbucks, eBay, and hundreds of others. There are also other money-saving features you can take advantage of, and you can earn points with every purchase. Once you’ve earned 1,000 points, you can redeem them for a gift card from one of the site partners. Checkout 51 is a digital rebate app. There are offers on different brands and products, and you can redeem one offer per device. You can only use a receipt once, though. That means if there is a great $2 back on toilet paper, you could do two separate transactions then get $4 back (once for your phone, and once for your computer). You can stack coupons with the rebates, and combine it with other rebates apps as well. Each week, Checkout 51 also allows you to ‘Choose Your Own’ offer that is usually $0.25-50 off, and you could end up with an awesome staple like bananas without paying a dime. Checkout 51 can also be used online, and with EBT/SNAP (food stamps). ShopSavvy is another mobile app, but this one is a barcode scanner. Of course, you can get cash back and percentages off of items, but the barcode scanner is the real hack here. If you’re at Target and you want to get a 12 pack of soda that is $5.49, you can scan the barcode and ShopSavvy will see if there are any discounts or coupons that you could use, but it will also show you that you can get that same 12 pack at Walmart for just $4.68; once you figure that out, you can drive over there, or you can just ask the store that you’re at to price match because most big retailers do have a price match guarantee. This has been called the best barcode scanner for iPhones, but it also lets you scan websites and search by keyword.